To commnunicate on the release of its new smartphone, Huawei chose to rely on its Twitter community to engage them, a few days before the official release. The company focused on the sales order stage to launch the operation, in order to increase the number of smartphone orders. To meet its objectives, the Interact-to-Notif appeared as the best type of operation for the brand. To participate, you only had to subscribe to the alert to receive the release notification on the D-Day. 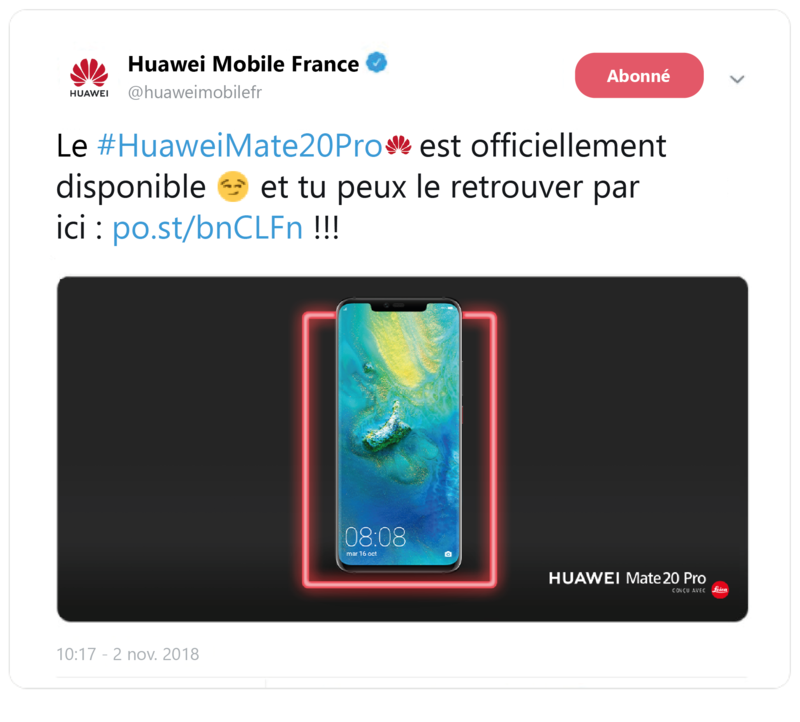 On the 16th of October 2018, the account Huawei Mobile France announced both the release of the Huawei Mate 20 Pro smartphone and the participation conditions to the operation. By not specifying the release date of the smartphone in its announcement tweet, the brand was able to raise the curiosity of its community while creating a feeling of closeness and exclusivity with its customers. 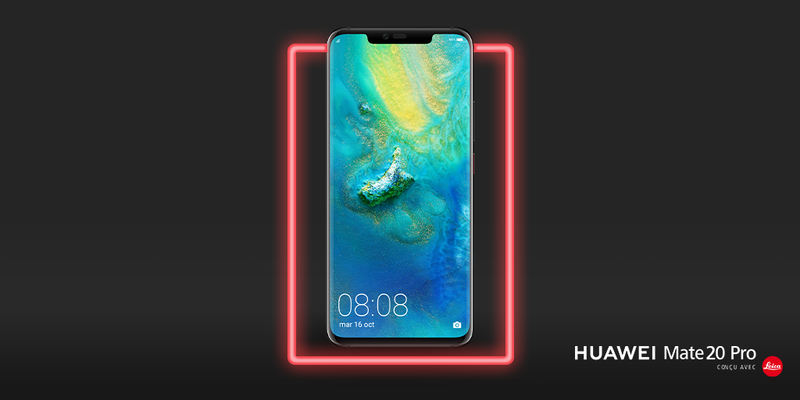 In 2018, a simple RT on this tweet will allow you to be notified of the release of the #HuaweiMate20Pro. You will be able to quietly pass to 3018 when you will have it in your hands. To participate, twittos could not only RT the announcement tweet, but also tweet with #HuaweiMate20Pro and the account’s mention @HuaweiMobileFr or even to like the announcement tweet. Therefore, 3 forms of engagement were proposed to subscribe to the alert, which allowed to best adapt to each of the participants. On the 2nd of November 2018, the day of the smartphone release, participants received the notification along with a link redirecting them to the Huawei’s website to order the smartphone. The #HuaweiMate20Pro is officialy available 😏 you can find it here : po.st/bnCLFn !!! For the last step, the brand ensured the engagement of its community by simplifying the order process. To buy online, select an online store. “The operation with Like a Bird went really well. The follow-up has been highly qualitative and we are satisfied with the results. The plateform is easy to use and intuitive. We were able to configure the operation without any problem.